Robbie Neilson explained that Hearts decided against retaining veteran goalkeeper Neil Alexander because they felt the time was right to give the highly-regarded Jack Hamilton the chance to establish himself as the club’s No.1 in the upcoming campaign. After two seasons as the Tynecastle side’s first-choice stopper, Alexander, who also doubled as goalie coach, made a surprise exit last month after it emerged that his contract with the club would not be extended. The 38-year-old subsequently signed for Aberdeen last week and, at his first press conference, coincidentally held just along the road from Hearts’ pre-season training base in St Andrews yesterday, he took a swipe at his old club for withdrawing the offer of a new deal after he had psyched himself for staying. “We had been negotiating for six months, everything was fine, there were never any problems, and then at the last minute, after the season, it was pulled off the table,” he said. “It came as a shock. I was settled at Hearts, I enjoyed it there, and had done well. I was looking forward to the next season, in Europe, and then suddenly I go from having a contract to not. After being informed of Alexander’s comments, Neilson, speaking around an hour later, took the opportunity to explain why Hearts had decided not to retain the former Cardiff City and Rangers keeper. In short, it revolved around allowing the 22-year-old Hamilton, who had initially been earmarked for a loan spell away from Tynecastle, the chance to prove himself. Hearts have brought in 36-year-old Paul Gallacher to replace Alexander as player/goalie coach, while they are currently running the rule over trialist pair Viktor Noring, a 25-year-old Swede, and Danny Amos, a 29-year-old Israeli, as they look to beef up that department of the squad. However, Neilson made it clear that Scotland Under-21 keeper Hamilton will be given every chance to claim the gloves. 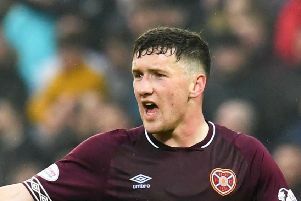 “We had spoken with Neil about the plans for the future but in football things change quickly and Jack came in at the end of the season and did really well and was also involved in the international set-up,” said Hearts’ head coach. “There comes a point you have to make a decision and sometimes these decisions can leave people feeling they’ve been hard done by, but if I was to keep everyone happy at the football club I would have 120 players. Neil is still a very good goalkeeper and will do very well, but I had to make a decision for the football club. “When you are a manager you have to make the decision you feel is best for the football club and the team and I felt it was the right decision to give Jack the opportunity to be our number one and bring Paul Gallacher in as our goalkeeping coach.